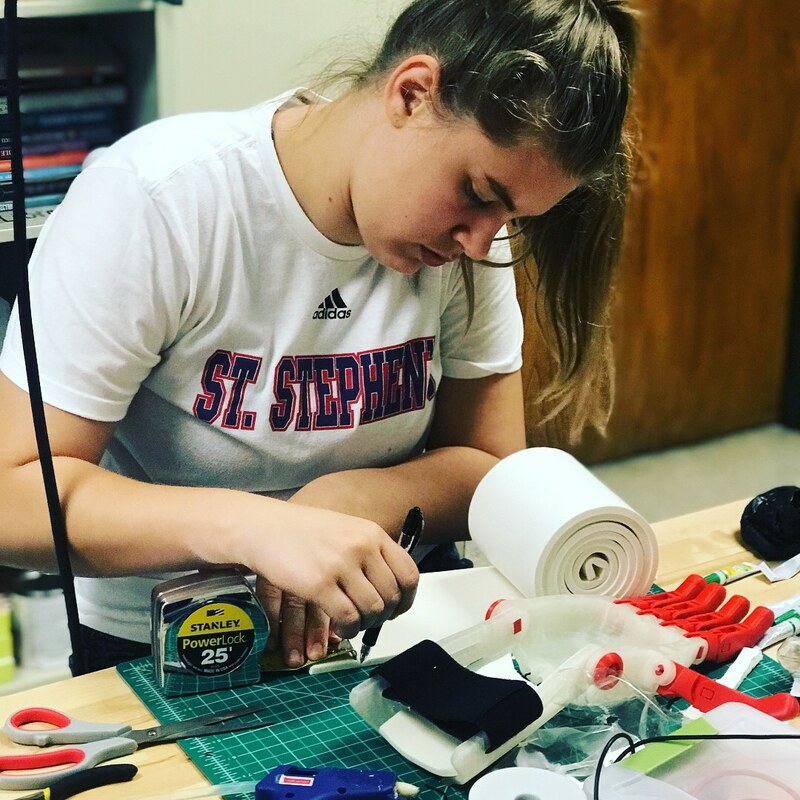 Senior Jenna Rogge first went to St. Stephen’s Episcopal School’s Project Idea and Realization Lab (PIRL) with an interest in prostheses and a desire to build a prosthetic hand. She was assisted by Educational Technology Coordinator Nicole Wortham, who spent last spring and summer creating the innovative community Makerspace and defining its ethos. With these resources at her disposal, Rogge spent close to 90 hours designing, scaling, printing and assembling all the parts for a functional prosthetic hand that she named “The Raptor.” Once completed, she identified areas for improvement and immediately set about working on a new design. 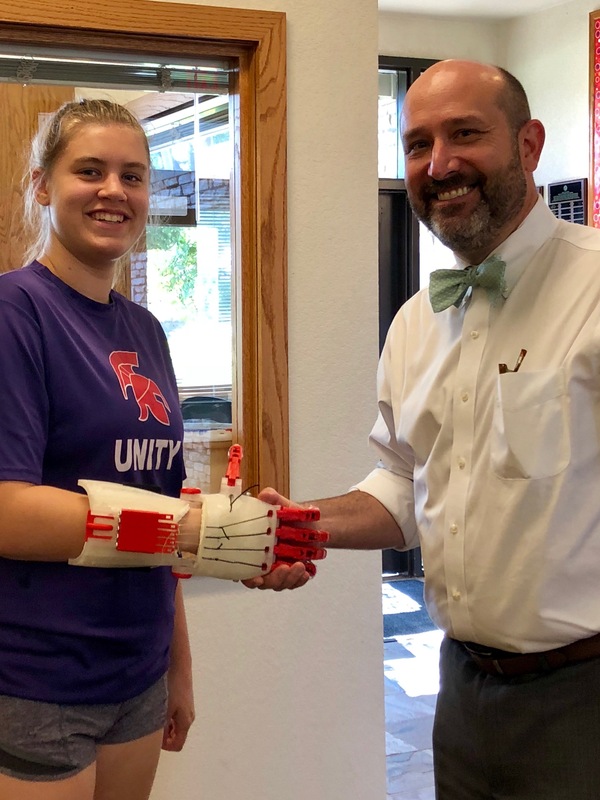 “Earning a production badge means that Jenna is now able to search through case files and identify a child in need of a prosthetic limb, 3-D print and assemble the hand, and then send it off to its new owner!” Wortham explained. “She’s now approved to make prosthetic limbs for children in need across the world! The St. Stephen’s community is incrediblyproud of Rogge’s hard work, dedication and innovative spirit! Her work with Wortham in the PIRL personifies the Spartan spirit and inspires us all.